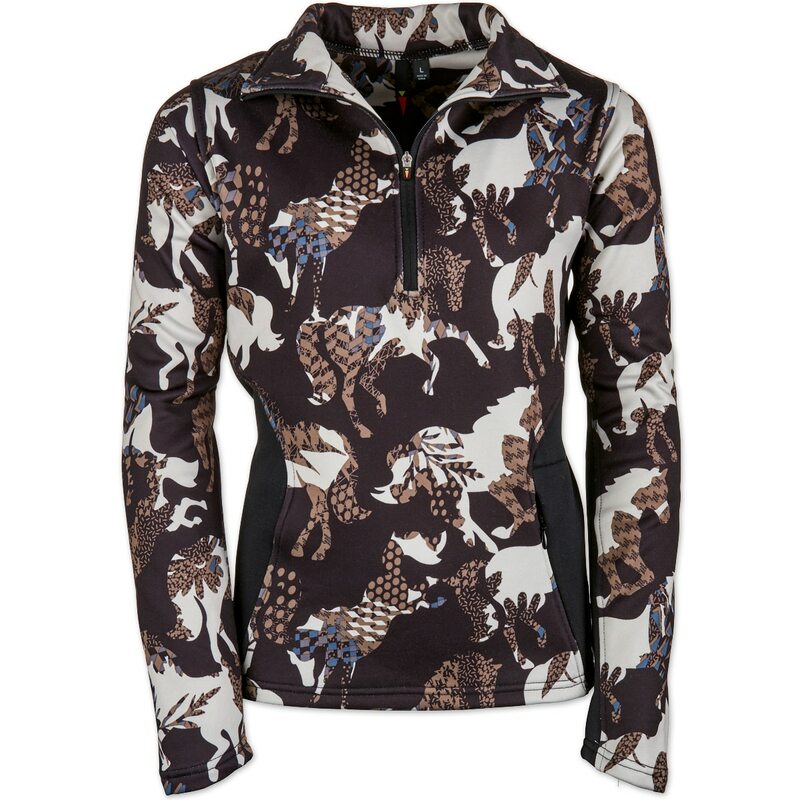 The Kerrits Girls Protek Fleece Zip Up is a technical fleece made for those who ride no matter the weather! This stretchy, mid-weight fleece provides cozy, thermal insulation inside while the smooth exterior sheds dirt, hay and horse hair. A generously tall collar and hip-covering hem will keep you warm while the black side panels slim and flatter. Finally, the polyester and Spandex blend material is comfortable and provides just the right amount of stretch to move with you in and out of the saddle.